Mountain Dew’s "Puppymonkeybaby" was hardly the most popular spot in Super Bowl 50 — at least according to viewer opinion. The bizarre commercial ranked only 55th out of 63 ads on this year’s USA Today Ad Meter list. But it did produce more smiles than any other spot, according to a facial recognition study performed by Annalect, Omnicom’s data platform. The results of the "Moodometer" study, which captured the facial expressions of 134 people as they watched five random Super Bowl 50 commercials, raises questions about measurement and the disparity between what viewers say they enjoy and what actually moves them. Other spots to rate high on the Moodometer study include the "Kung Fu Panda 3" tie-in ad from Wix.com, which landed at number 40 on Ad Meter, as well as Axe’s "Find Your Magic" and Shock Top’s "Unfiltered Talk," which ranked 49th and 41st on Ad Meter, respectively. However, other highly-ranked Moodometer spots, like Marmot’s "Love the Outside" and Amazon Echo’s "Baldwin Bowl," ranked similarly on Ad Meter — both made it into the top 20. The Snickers ad that replaced Marilyn Monroe with Willem Dafoe in a white dress scored fourth in Moodometer smiles, 16th on Ad Meter and 10th in the annual likeability rankings from Ace Metrix, an ad-scoring company. Paypal’s first Super Bowl spot was the third happiest and seventh in likeability. The Moodometer’s last metric scored aversion, as measured by narrowed brows, wrinkled noses and "visible protrusions of the tongue." Yes, some people make retching faces when they watch ads they don’t like, even when they know researchers are watching. "Ad Meter measures likeabilty — the entertainment factor," said Anna Nicanorova, director of Annalect Labs. "Moodometer measures emotional reaction." Colgate’s "Save Water" public service announcement caused the most facial consternation, but it was 20th on the Ad Meter list. It also ranked third on the Ace Metrix list. But the discrepancy makes sense. The ad shows a series of depressing images sure to cause a frown, but when asked to translate that feeling into a rating, most people rank those kinds of socially conscious messages positively. Horror films cause plenty of unhappy faces, but they rake in plenty of money at the box office. Or viewers might just be confused. Honda’s singing sheep and Hyundai’s town full of Ryan Reynoldses both ranked high on discomfort despite being popular. But don’t abandon the old metrics just yet. 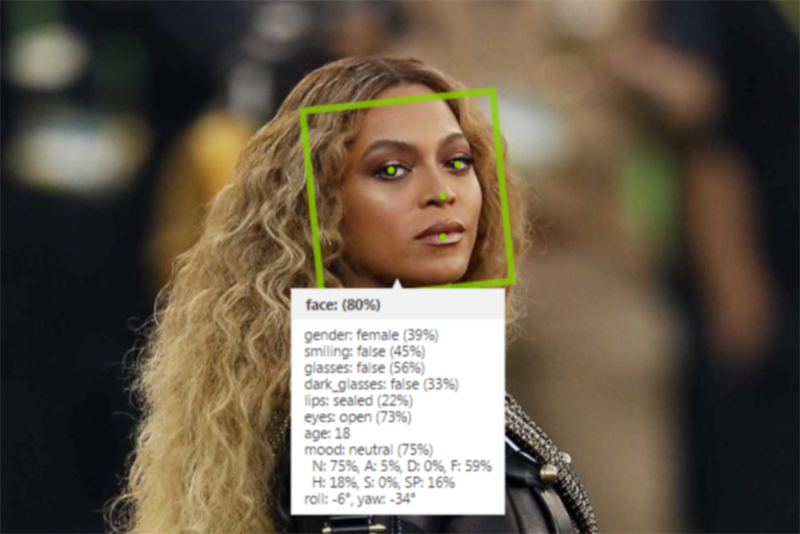 "Facial recognition is an emerging technology, one that we think will become more frequently utilized moving forward, not as a replacement for existing tools, but certainly as an enhancement that can deliver another layer of insight," Nicanorova said. "This gives us another lens through which to view reactions and gain greater insight around how and why a specific execution appeals to the audience." Of course, it’s good to have multiple methods for evaluating work, especially in an arena as expensive and competitive as the nationally televised annual championship football game. Annalect conducted this study with a webcam, a chair and a rented co-working space — the number (face) crunching was outsourced to Sky Biometry, which can analyze features online and in real time. Expect to see plenty more applications for this kind of research as advertisers and agencies try to figure out what viewers really think.